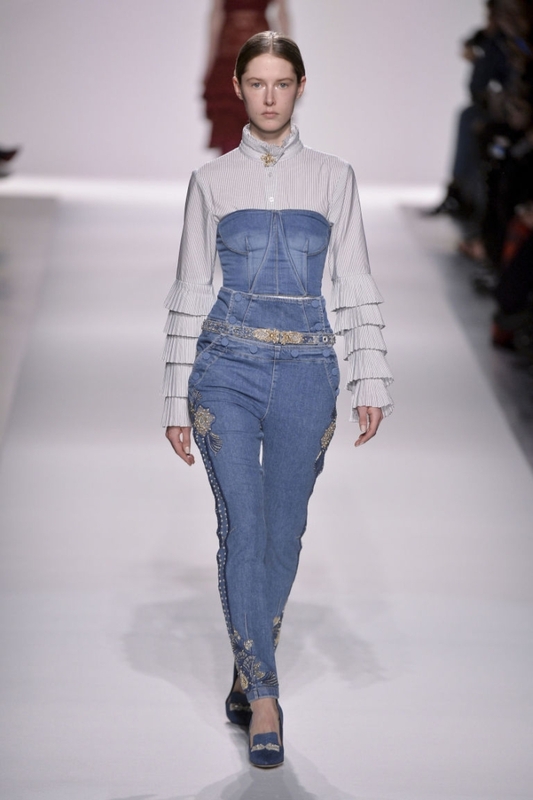 Double and triple denim - how cool is this! Raf Simons re imagined it for Calvin Klein, as a retro, vaguely Western uniform of slouchy boot cut jean and matching jacket. 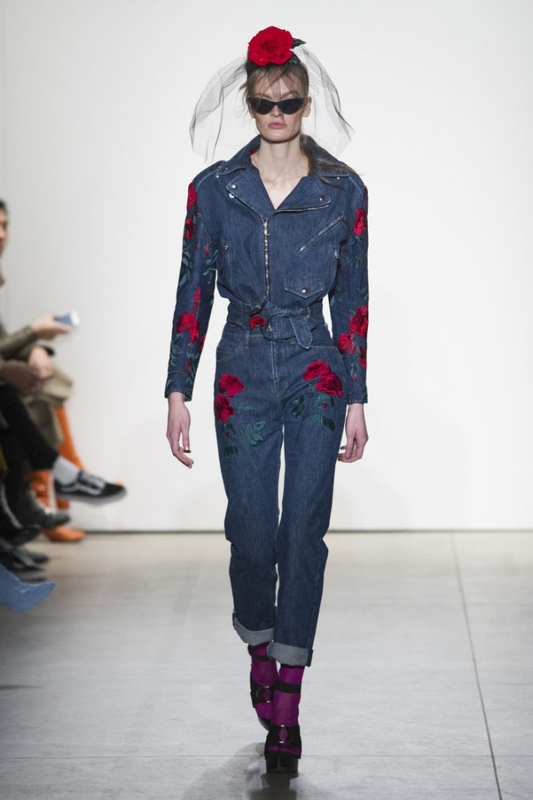 Meanwhile, Adam Selman used it as a canvas for embroidered roses on 50s-style boyfriend jeans, trench coats, jumpsuits and jackets. 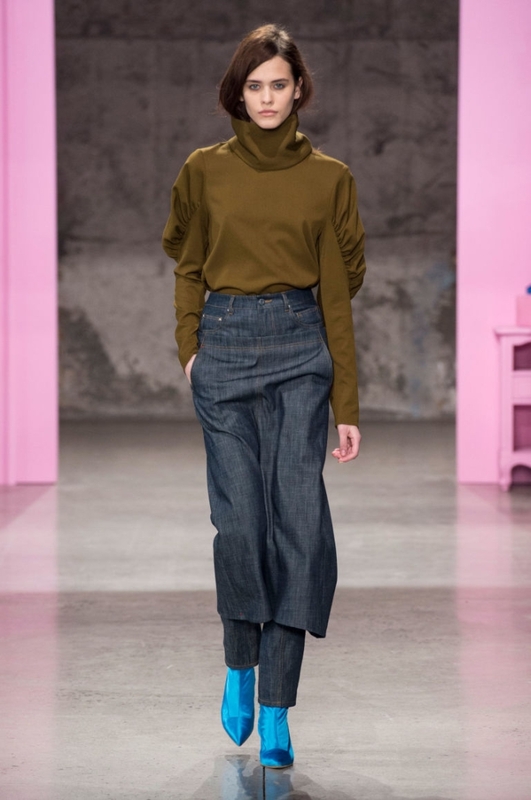 While Tibi turned it into workwear, layering a long denim skirt over denim tailored trousers. 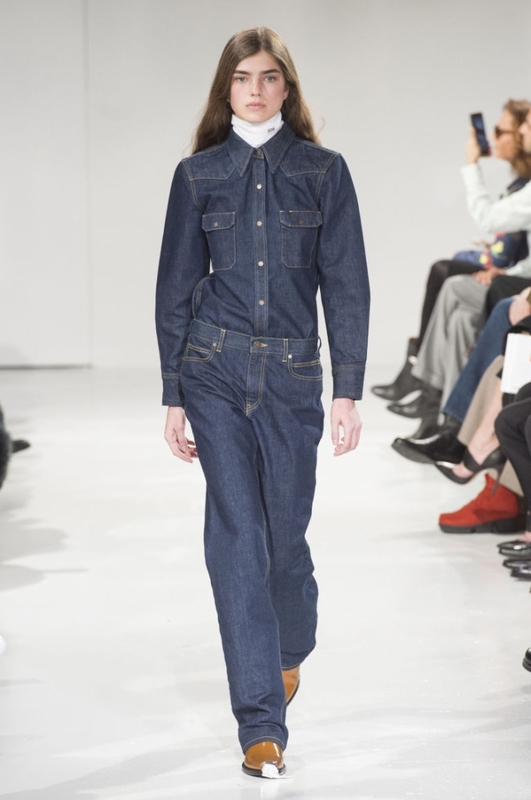 So, I think we can safely call this one: double and tripe denim is becoming a thing at New York Fashion Week. 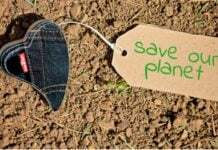 Previous articleMalia Obama Rocks in her BDG Mom Jeans! The Calvin Klein jeans are ok. Surprisingly badly made shirt with them. The rest of these pieces are don’ts. When they wear these clothes, it’s hard to notice that these women are beautiful.